You can make the avocado hummus well in advance of the meal. Just keep it refrigerated and add the toppings right before serving. 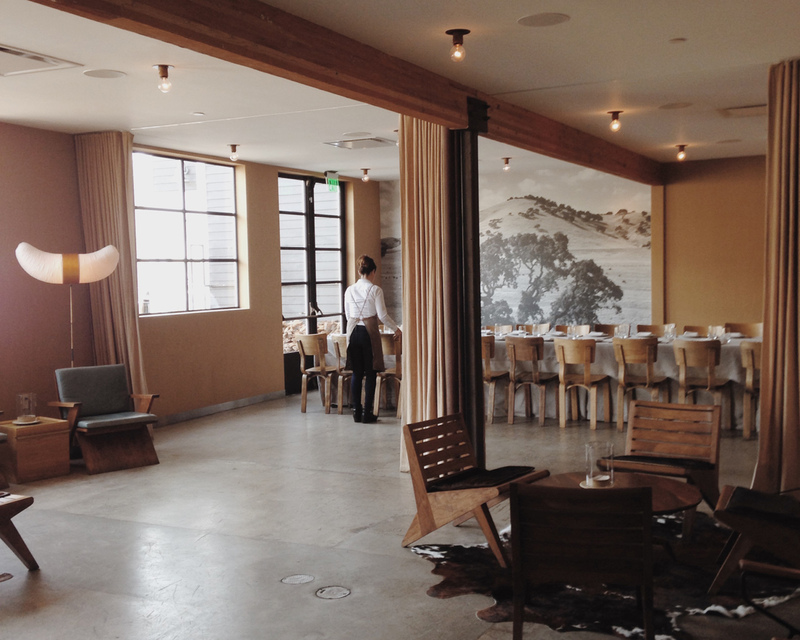 Cozy california mood in Farmshop restaurant, San Francisco. 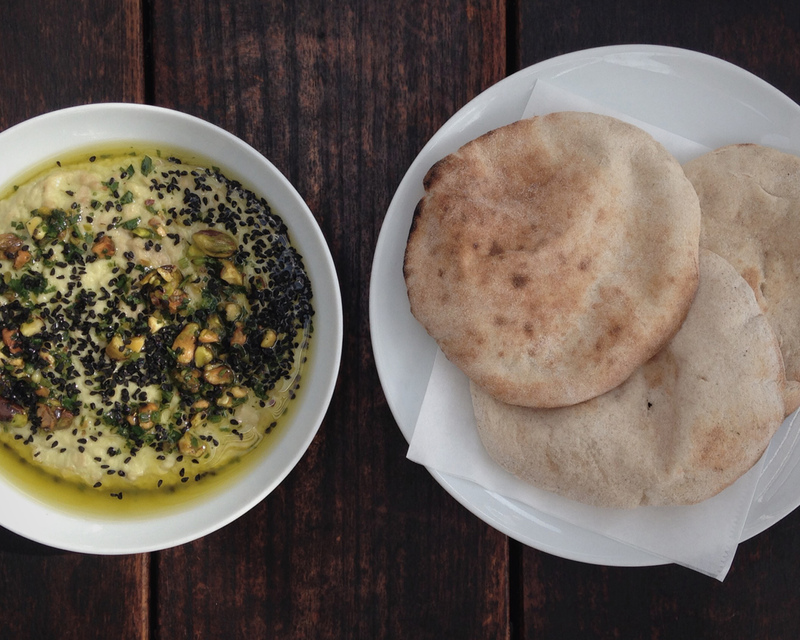 Avocado hummus served with freshly baked pita breads. Appetizer, meze, salad topping – however you want to serve it. Mix chick peas, olive oil, tahini, lime juice, and garlic in a food processor or with a hand blender until you have a smooth and even paste. Add avocados and mix until smooth. Season with salt and pepper and taste. Adjust the consistence and taste with a little more oil, lime juice, salt or pepper, if needed. 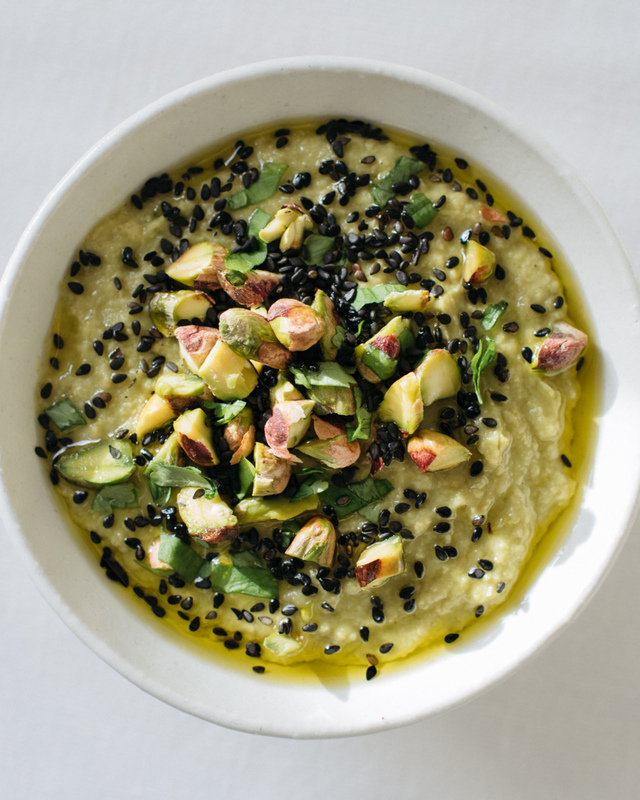 Serve topped with black sesame seeds, crushed unsalted pistachios, olive oil and freshly chopped cilantro leaves.